One Warp, Many Structures: An Explanation of Extended Parallel Threading. Designed for advanced beginners and beyond. 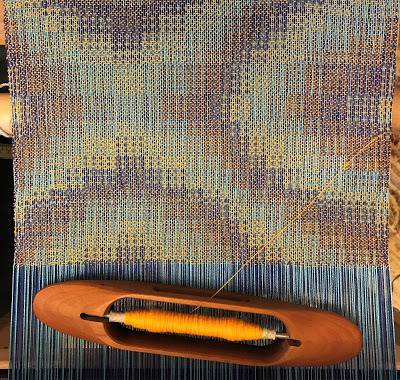 Students will begin with loom dressed in a two color warp using an extended parallel threading (drafts will be provided beforehand). 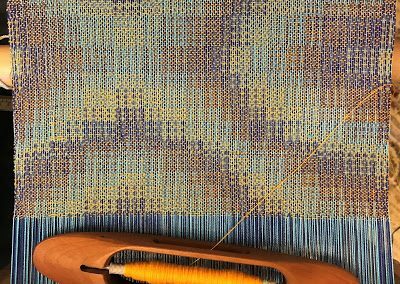 Working with a variety of tie-ups and treadlings, you will weave a series of designs in Echo, Jin (also known as Turned Taqueté) and Shadow Weave — and, if you’re game to cut off and re-sley your warp, Rep and Double Weave. 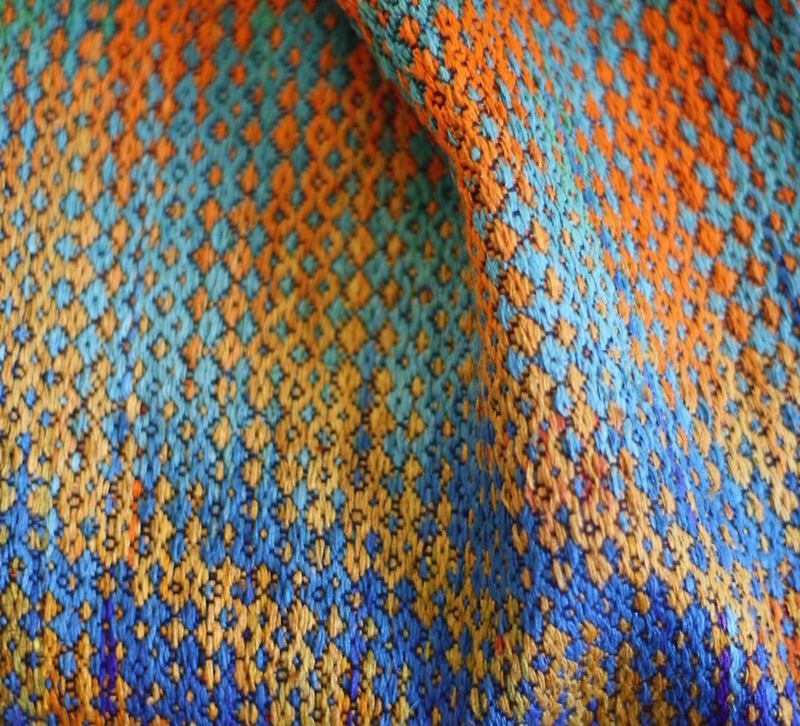 The takeaway is a sampler of colorful patterns and a broader, deeper understanding of the potential for extended parallel threadings and how to design them. For 4-shaft looms and more. Denise Bolger Kovnat has taught at Convergence, MAFA and guilds across the United States and Canada. 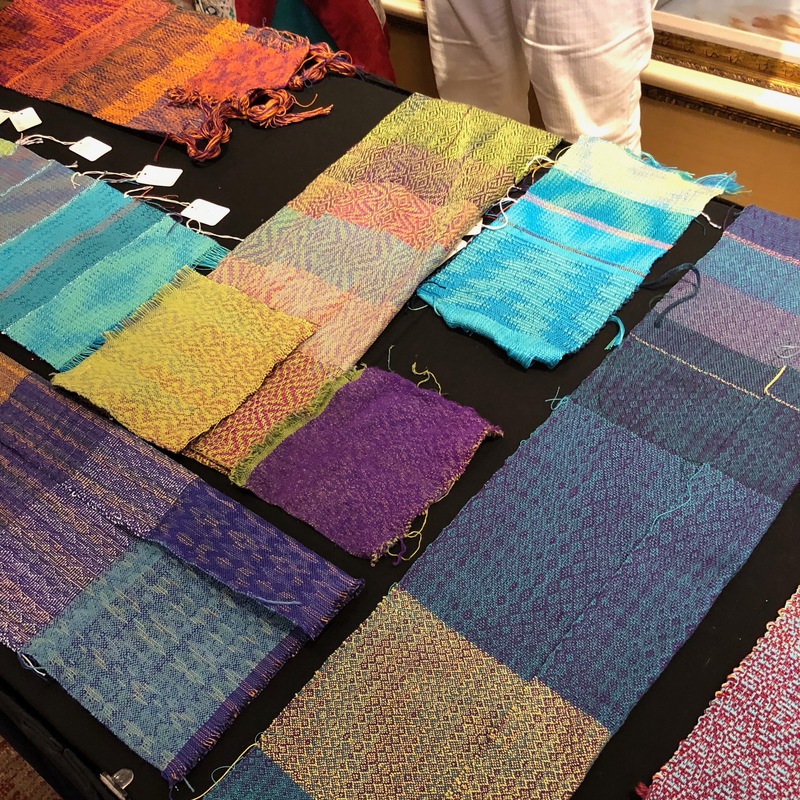 She is a member of Complex Weavers, the Weavers’ Guild of Rochester, and the Handweavers Guild of America and contributes articles to the magazine Shuttle, Spindle & Dyepot. 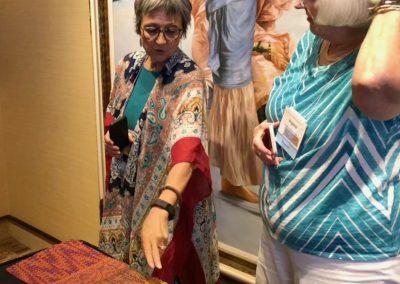 For the Weavers’ Guild of Rochester, she has served as president and, for many years, program co-chair. 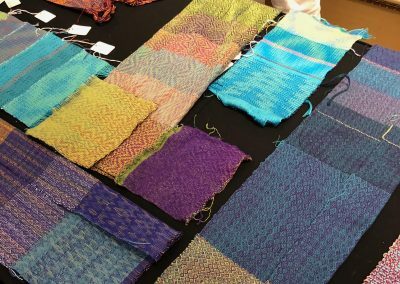 A great source of pride is serving on the founding team for the Weaving and Fiber Arts Center in Rochester, NY, run by the Rochester guild since 2001. 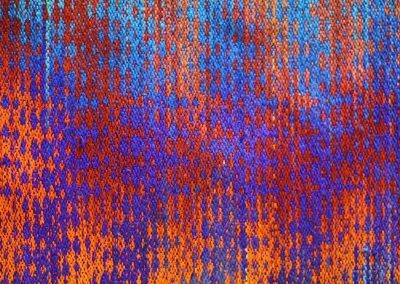 To date, her focus has been on extended parallel threadings, collapse fabrics, and Deflected Double Weave for collapse fabrics. 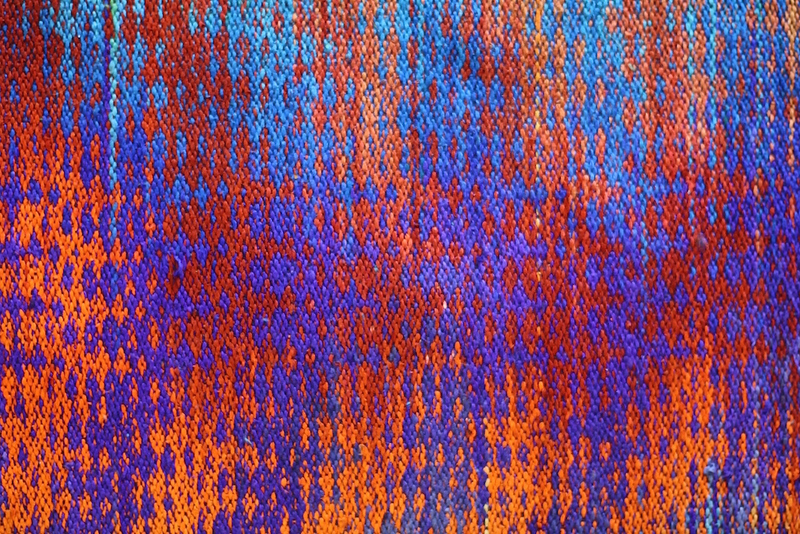 Using these techniques, she enjoys making garments that display her hand-dyed, handwoven fabrics. Her garments have been juried into every Convergence fashion show since 2008. 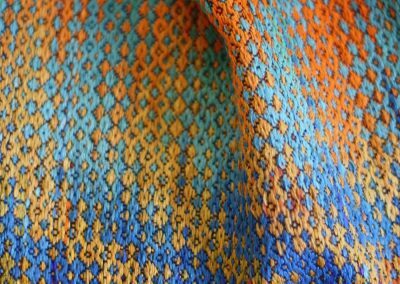 In 2016, her coat “Blue Rills” received the Virginia Harvey Award for the Best Use of Color from the Seattle Weavers Guild. She learned to knit and crochet in grade school, inspired by her grandmother, who knitted patterns and garments despite being blind since birth. 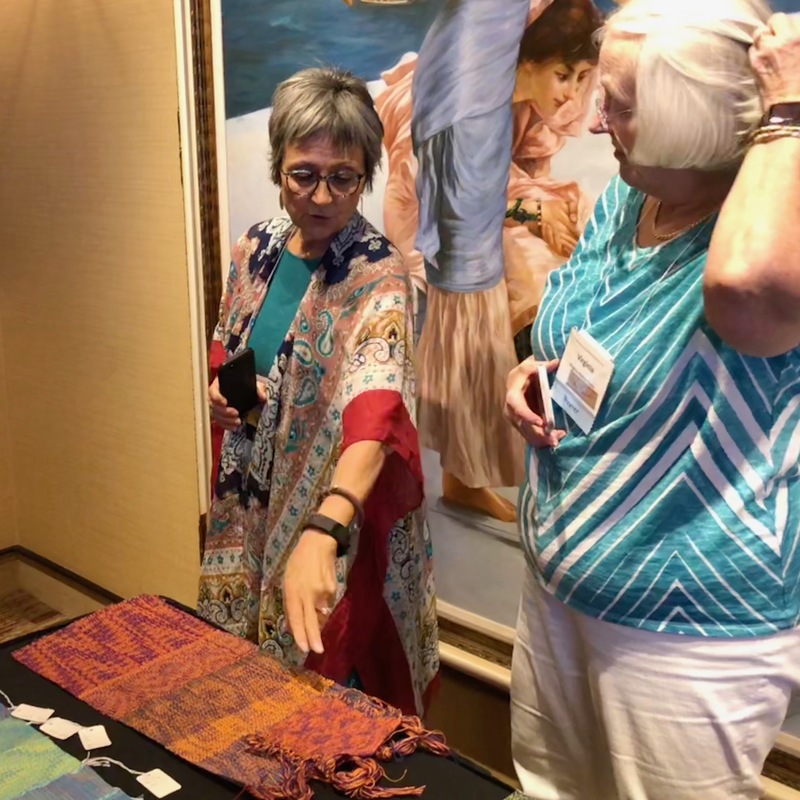 She has been weaving for more than 20 years: Nearly 40 years ago, she spotted some looms in a studio window and knew that she wanted to learn to weave one day. Denise blogs about weaving and fiber arts at www.denisekovnat.com. As for her tools: She works on a 16-shaft Toika computer dobby loom, a 12-shaft Macomber jack loom, a 12-shaft Voyageur table loom and an 8-shaft Structo.